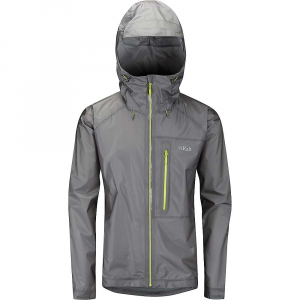 The Rab Men's Spark Jacket offers reliable waterproofing in a lightweight package that's fit for the alpine and other faraway places. Pertex Shield+ equips this 2. 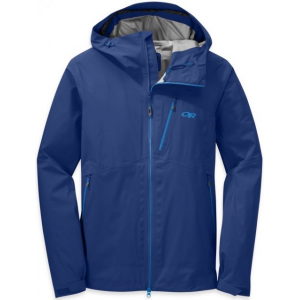 5-layer shell with highly rated waterproof and breathable protection for active endeavors in wet weather, and fully taped seams enhance waterproofing by preventing raindrops and snowflakes from seeping through the cracks. 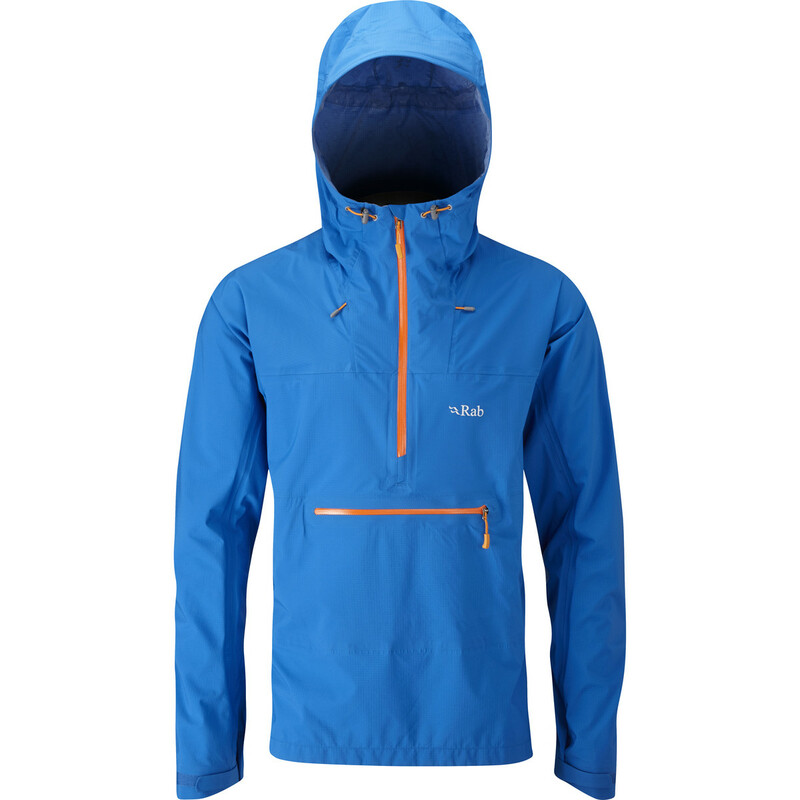 Rab equipped the Spark with hook-and-loop cuffs and a hem drawcord for a secure fit, and it treated the fabric with a DWR coating to add an extra layer of weatherproofing during prolonged exposure to moisture. The helmet-compatible hood features a wired peak to stay out of sight and a roll-down tab for stowable security, and you can even stuff the Spark in one of its mesh-lined chest pockets for easy packability. 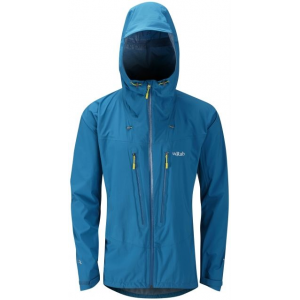 Rab Men's Apparel Clothing Spark Jacket - Men's-Maya-Large QWF57MYL. 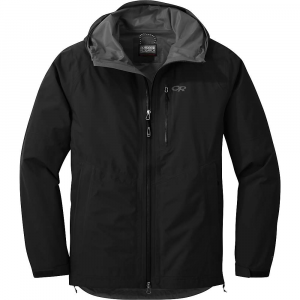 With the Pertex Shield+ 2.5L fabric you'll be super waterproof and have plenty of stretch for those mountain treks that require a lot of movement. CLOSEOUTS . 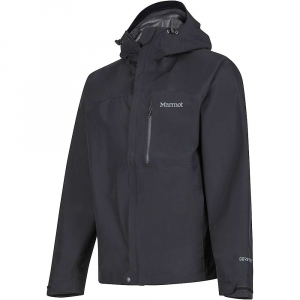 A movement-friendly, weatherproof shell for mountaineering and alpine pursuits, Raband#39;s Spark jacket protects you from drenching downpours. 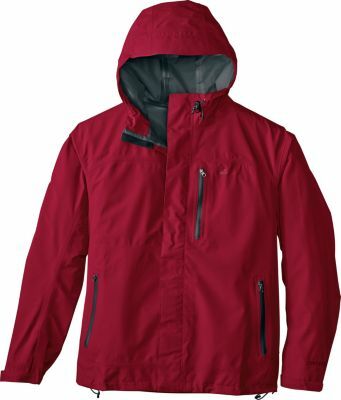 The lightweight, durable Pertexand#174; Shield+ exterior has fully sealed seams, watertight zippers and packs into its own pocket. Available Colors: BURNT UMBER, ZEST. Sizes: M, S, XL, L.